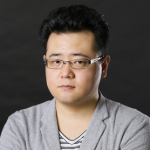 We’re excited to announce Naokatsu Tsuda, animation director at David Production, and director of Jojo’s Bizarre Adventure as an Industry Guest at Anime Expo 2015! Tsuda will be presenting the world premieres of the English versions of episodes 3 and 10 from season one of Jojo’s Bizarre Adventure along with Ben Diskin, who has been cast as the voice of Joseph Joestar. 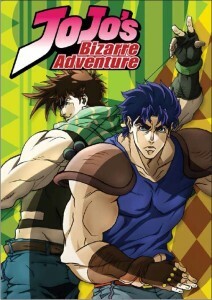 The animated version of legendary Shonen Jump manga series written and illustrated by Hirohiko Araki, which it tells a multigenerational tale of the heroic Joestar family and their never-ending battle against evil! Born on October 3rd 1978, Naokatsu Tsuda is a Japanese animation director at David Production. After making his debut as a chief director for Inu x Boku Secret Service (2012), Tsuda is best known for his latest work on the TV animation Jojo’s Bizarre Adventure series (2012-2015). “Jojo” series has been popular for over 25 years ever since its original manga by Hirohiko Araki was first issued in Shueisha’s Shukan Shonen Jump comic magazine, and Tsuda succeeded the perfect visualization of the unique “Jojo World” that even the critical core fans admire. Without limiting his specialized genre, Tsuda’s animation making covers various types of titles such as B Gata H Kei (2010), LEVEL E (2011), Ben-to (2011), Chojigen Game Neptune (2013) and the latest “Jojo” series made a record-breaking hit to be called as his new masterpiece. Having found an antidote and given it to George, JoJo prepares to turn Dio in to the police. Dio tries to get JoJo’s guard down by saying he will turn himself in, but Speedwagon, who has followed JoJo from London, sees through Dio’s lies. In 1938, 49 years after Jonathan Joestar’s death, Speedwagon and Straizo travel to Mexico, where they discover an underground room filled with similar looking masks and a petrified body believed to be the being who created them.